I am an earth person. I like the ground. I like to feel my feet on the earth. I live my life that way most of the time. My feet to the earth and my head grounded. But, I often wish to be a mermaid, able to swim with the humpbacks and play with the sea otters. I want to float on my back with my hair splayed out around me like a crown. I want to dive into the depths of a lake and look for lost shoes and glasses. I wish that I could talk with the dolphins and ask sea stars questions. I want to peek my head up and take a breath and dive under the ocean once again. I want to giggle at snorkelers who wish they had fins like me. I dream of telling the clown fish about the movie they star in. I want to see a mother humpback nudge her baby up for air. I want to swim across one ocean until I reach another. I want to marvel at the colors of all the creatures I do not yet know. But, I am an earth person. I wish that I was not afraid of deep water and that I didn't try to inhale whenever my head goes under. I wish that instead of wanting to go kayaking in Puget Sound but knowing I never will, I would feel safe enough to paddle my way through the fear. I wish that I didn't have to usually say, "no you guys go ahead" when it comes to water activities. I wish that I did not feel odd wanting to wear a snorkel mask so that I could swim in deep water or at the ocean because I can swim I just can't go under water without trying to breathe if my nose isn't plugged. I wish to swim like a mermaid with only wonder and little fear. 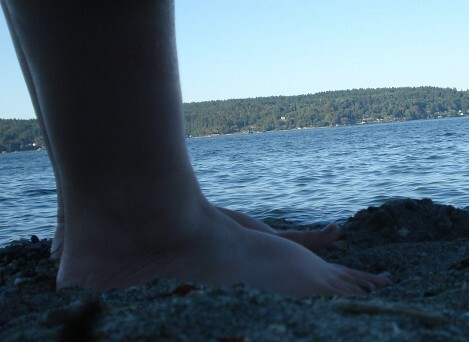 For now, though, I guess I am an earth mermaid who lives with her feet on the ground but dreams of all that might be.